Btw., are you sure about the red Gun carriage? Of course it might be that the color scheme wasn't invented in Peters era. Green if a male, red if a female Czar. 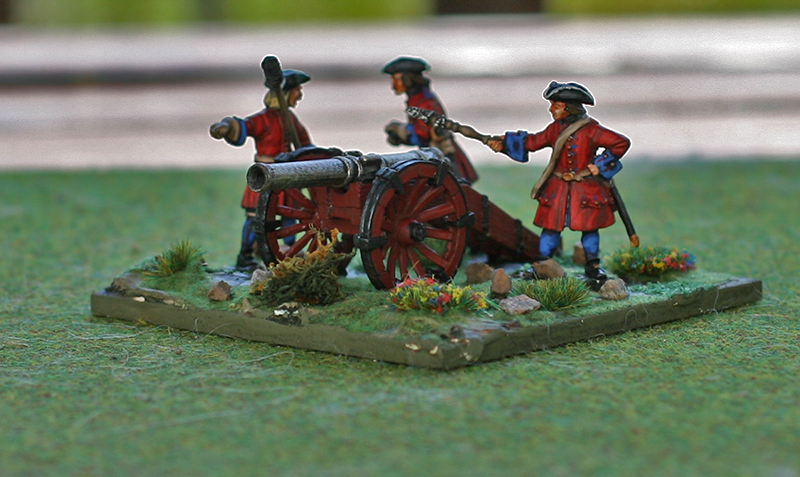 Example: When Catherine the Great ruled, time of 7YW, all guns had red carriages. In the Napoleonic Wars, Czar Alexander, all gun carriages were green. All sources I've seen show them as red. Either red with black metal or red with yellow metal. I decided to use black metal. 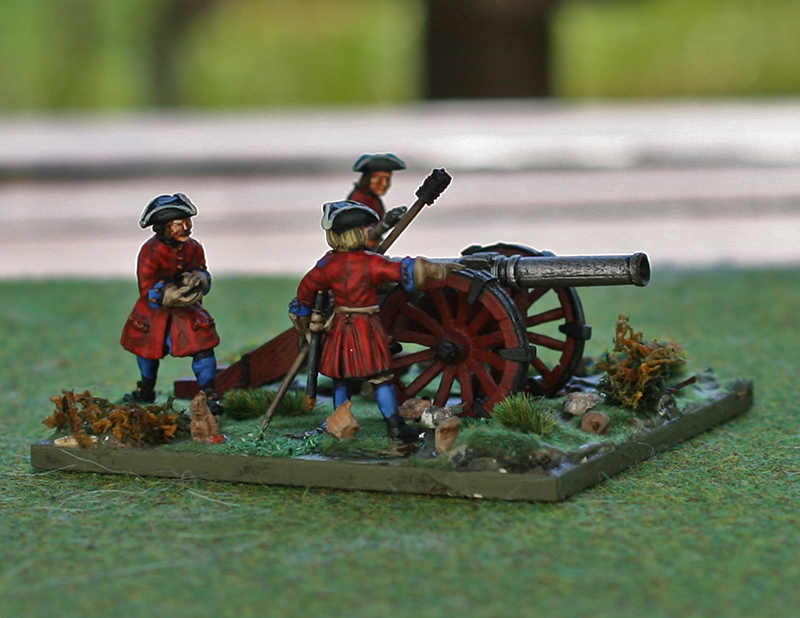 As the Danes also had red with yellow metal. I would also go with Red with black metal fittings, all the research including the new book on the Russian Army by Boris Megorsky comes to this conclusion. Ditto: red carriages and black metal fittings from my sources. My only query is about the apparently 'iron' barrel, when all Russian Artillery field barrels were of bronze in the SYW and onwards. Well the battle is bronze. Ah, so it's just a trick-of-the-light in this photo, that fooled me into thinking it was 'iron'? Cheers, Truls. Several people have been tricked so you're not alone, it might a smidge to ironish in colour. (even tho it is called bronze) I do have brass colour, but it's very orangey. Might try a few drops of gold into my bronze to yellow it up a little. Bronze or iron, red or green - lovely work! "If you think you can, or if you think you can't, you are probably right"